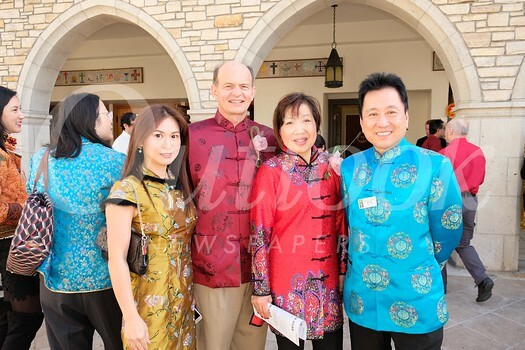 East Meets West Parent Education Club held a Lunar New Year Celebration on Sunday at San Marino Community Church. Congresswoman Judy Chu, local officials and members of the community enjoyed entertainment, sampling sweet dumplings and a Chinese New Year’s buffet lunch. Vocalists presented classical songs in both English and Mandarin to celebrate the arrival of the Year of the Dog. Other activities included storytelling, cultural exhibits, a calligraphy demonstration, fashion show, lion dance, flower presentation and children’s craft and games.